The expression laying refers to the techniques and tools used in the installation of a floor and in the selection of the pattern and colour. Experience gained over the years, the skilled workforce with their complete awareness of brick, allows Bernasconi Furnace to offer clients this installation service. 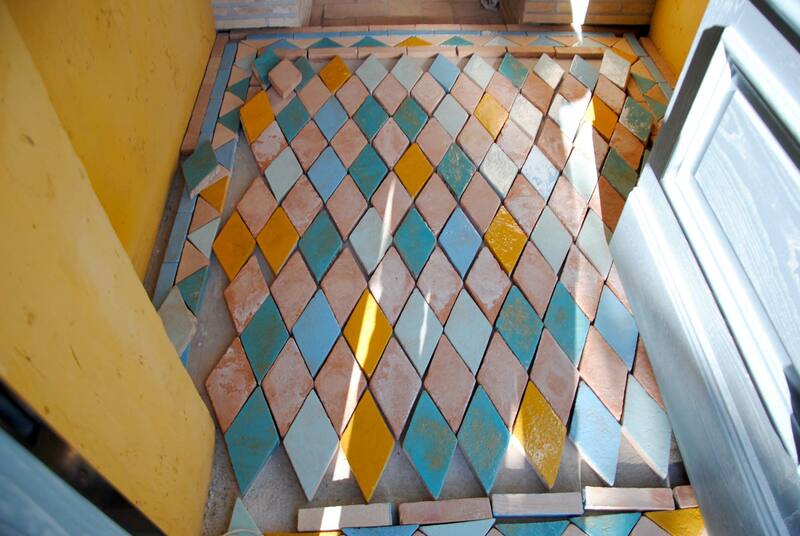 Laying floor tiles by hand requires attention to detail both in the figuration of the tiles and the grouting detail. Evoking the charm of antique floors or the sober and minimalist elegance of a modern environment. 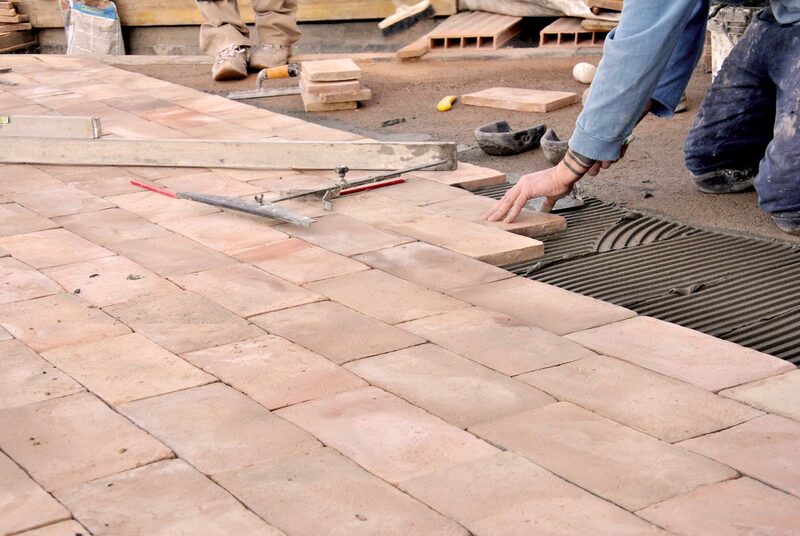 There are two main techniques for laying brick: traditional installation (or screed) and glue laying. The traditional installation method is to prepare a slab of cement mortar and sand, of variable thickness (approx. 5 cm). Then before the drying of the screed, a cement dust layer of 1-2mm is put down, on which to lay the bricks. This will act together with the wet mortar underneath as a glue. This technique is used less these days as it is time consuming and less efficient, providing less paste uniformity over the surface. The use of modern adhesives, and the laying of glue allows optimum attachment of the brick to the concrete slab below. The adhesive is elastic (allows the natural expansion of different materials). It forms a sprung sub-layer of 2-3mm. 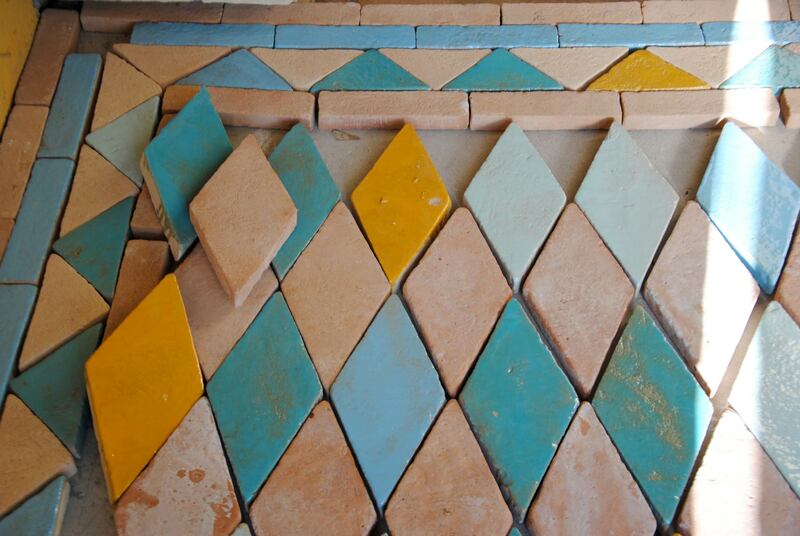 Facilitating and compensating for the irregularities found in handmade terracotta. It is excellent in the case of radiant heating systems. The most recent developments in technology in the field of adhesives offer biocompatible materials, excellent for combining with our organic certificates. 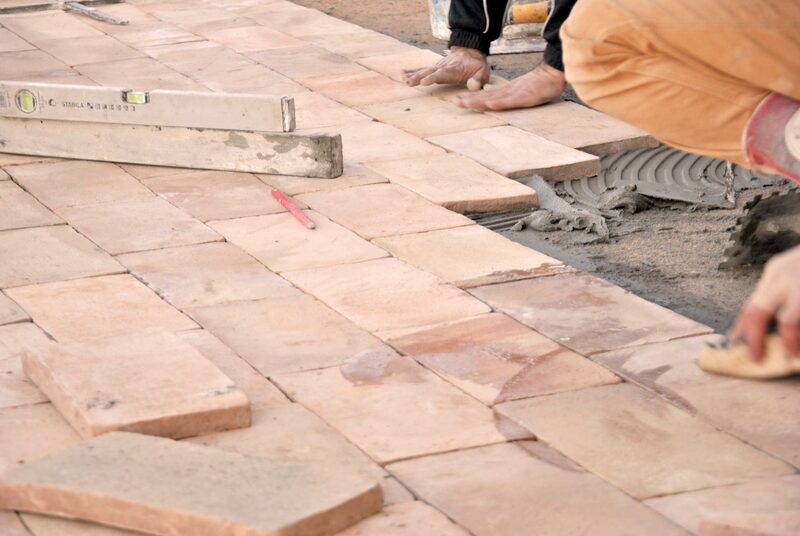 The grouting is technically the most difficult step in laying the handmade, naturally porous brick. In order to prevent the soiling or staining, hydro-repellents are used. However, care must be taken not to allow excess grout to dry on the brick (remove with a damp sponge). Soaking bricks, with clean water until saturated, avoids them more absorbency. This prevents that the bricks get dirty during the process of grouting. 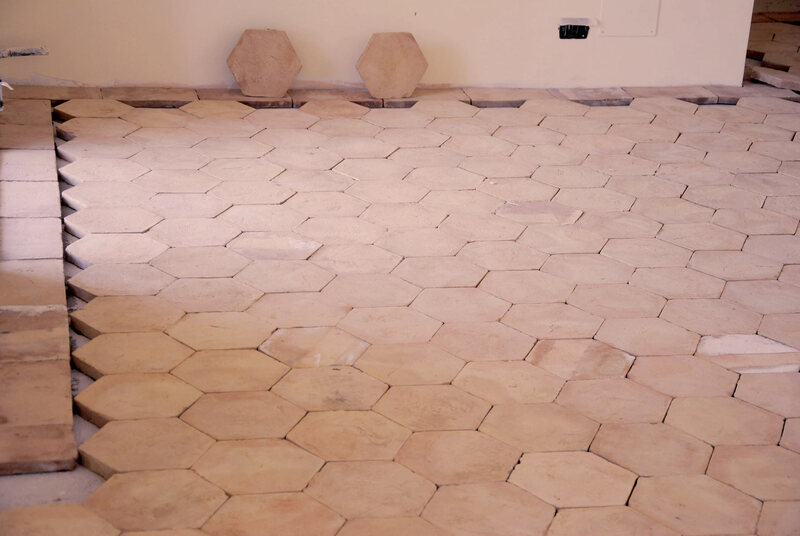 This technique is widely used on building sites, where timing permits the floor to be left to dry for 2/3 weeks prior to treatment. A treatment of hydro-repellent will protect the brick at this stage. It’s a good idea to ask about the choice of treatment, to ensure technical compatibility of products. 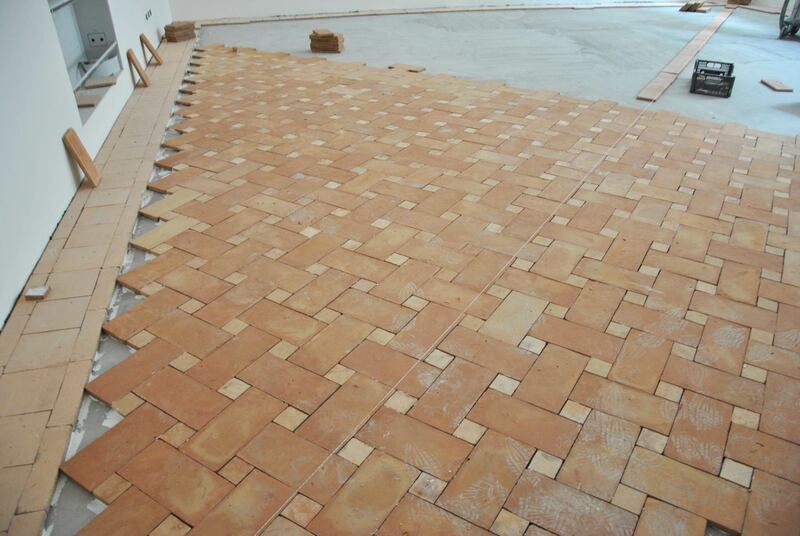 The laying operation is strategic for the success and duration of a handmade terracotta floor. Bernasconi Furnace will advise on all its phases upon request and will provide this service with the seriousness and professionalism it requires.